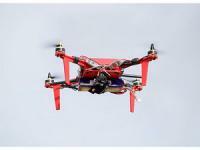 Aerial drones might someday deliver online purchases to your home. But in some prisons, drone delivery is already a thing. Drones have been spotted flying drugs, cell phones and other contraband over prison walls, and in several cases, drug traffickers have used drones to ferry narcotics across the border. If those drones are captured, investigators will try to extract data from them that might point to a suspect. “Drones” have proven useful both for the military and the public. They can be relatively inexpensive gadgets with a variety of capabilities such as taking aerial photos and video, surveilling, and carrying objects. However, until now, DHS could not evaluate and demonstrate drones in a timely manner because of the lack of a common testing site and high costs. DHS S&T is preparing to integrate drones in DHS’ and other federal agencies’ missions by providing accessible demonstration sites for land- and maritime-based operations. Almost all artificial intelligence, or AI, technology is reliant on the availability of massive amounts of data, but engineers are now trying to develop machines that can learn “on the fly” in situations where there is little data to inform them. The engineers hope their efforts will assist the Department of Defense in the development of truly autonomous systems that can not only operate in challenging environments but also survive disruptions or recognize when they are fatal. DronesHow are drones changing warfare, threatening security?